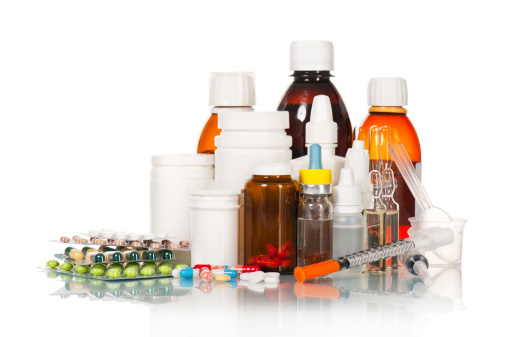 Home » General Health » Are The Drugs You’re Prescribed Killing You? Chronic disease is extremely common in aging Americans. About three in four older Americans suffer from coronary heart disease, diabetes, COPD (chronic obstructive pulmonary disease), dementia, hypertension, arterial blockages, or some other chronic condition. Many are battling multiple conditions and it’s quite possible treatments are interfering with each other. A new study found that of the 75% of older Americans who suffer from multiple chronic conditions, about 20% of them are taking medications that directly compete with each other. In other words, they cancel out the effectiveness of one form of treatment, while in some cases worsening other conditions. The research team, including members from Yale University in California and Oregon State University, said this happens because doctors often lack adequate information to guide their decision-making. They aren’t particularly sure how to weigh alternatives or identify options because they aren’t given the knowledge of how specific medications and forms of treatment might interact with each other. Researchers did notice, however, that when this form of “therapy competition” did exist, treatment methods were altered only 16% of the time. Some people I know take so many pills each day to treat myriad conditions that they often forget which pill does what. Based on this new research, however, the effects of those pills could be nil. When this happens, a patient is unlikely to experience the desired results of the medication, perhaps stay sick longer or never return to a healthy existence. They could even be worsening a condition even though the label on the box tells them they’re treating it. Lastly, they could be wasting lots of money. This happens because most medications are designed to treat only one ailment. They are so specific and alter the body in such a way that it deliberately works against what another medication is designed to do. Doctors, on the other hand, are trained to treat these issues independently as well, so it appears the results of this study indicate a seismic shift in the way we think about health is required. This poses a very interesting challenge because the responsibility—as much as it falls on the individual—falls largely on the doctors’ shoulders. They would have to decide and prioritize which conditions to treat and which to ignore and deal with later. Considering doctors are trained to do whatever they can to treat various conditions and save lives, this raises some serious ethical questions. For example, if you had COPD and coronary heart disease and were receiving treatment for both, depending on what you were taking the medicines could be competing with each other. Beta-blockers are often prescribed to treat coronary disease, but the same drugs increase airway resistance that worsens COPD! There are other drugs without beta-blockers that can be used to treat heart disease, but the ones with beta-blockers are still prescribed. At the end of the day, it’s the doctor’s call to offer the best treatment possible, but they have to be comfortable with what they prescribe, while also being fully aware of how all the medications their patients are on might interact. It might sound easy, but this is an extremely difficult task. In the end, the study found that roughly nine million older adults in America are being prescribed competing medications. This not only poses concerns regarding waste, over-prescription and potentially harmful health impacts, but a number of other issues like increased dizziness, loss of appetite, delirium, balance and other mental and physical impacts of mixing medications. Now, it’s true that diet and exercise can’t fix every health problem and there are some conditions that require prescription medication. But there is overwhelming proof that a healthy lifestyle that includes quality nutrition and exercise can help prevent a number of the conditions mentioned in this article. Quitting smoking, eating right, and trying to get at least a half hour of exercise at least three times a week can reduce the risk of a number of chronic conditions, therefore lowering the potential risks of prescription drugs. “One in Five Older Americans Take Medications that Work Against Each Other,” Science Daily web site, March 13, 2014; http://www.sciencedaily.com/releases/2014/03/140313154220.htm?utm_source=feedburner&utm_medium=email&utm_campaign=Feed%3A+sciencedaily%2Ftop_news%2Ftop_health+%28ScienceDaily%3A+Top+Health+News%29, last accessed March 17, 2014.